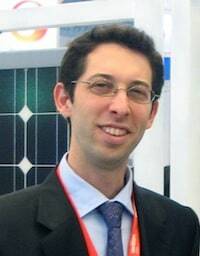 Yotam Ariel is co-founder of BOPASA, an after-sales system for solar products used by rural poor. The 2013 World Economic Forum in Davos launched with the theme ``Resilient Dynamism." Although I have never attended Davos, the international gathering of dignitaries did remind me somewhat of the United Nations Industrial Development Organization (UNIDO) conference, ‘Sustainable Energy Strategies in Low and Middle-Income Economies,’ in November. Is there a better way to support BoP businesses? The answer is yes. More often than not, entrepreneurs who share the same mission – ending energy poverty, hesitate to share resources, even if we all benefit. What are we afraid of? Is it the fear that all our hard work simply paved the way for someone else to get credit for lifting a billion villagers out of energy poverty? Or maybe it’s the bucks we were planning to make while perusing our lofty goal?